SUNROOF!! SE TRIM PACKAGE!! Check out this EcoSport LOADED with the Following Features! Automatic Headlamps, Daytime Running Lamps, Fog Lamps, Tilt and Telescoping Steering Wheel, Steering Wheel Mounted Audio Controls, Leather Wrapped Steering Wheel, Power Driver Seat, Driver Information Center, Heated Seats, Anti Lock Brakes, Push Button Start, Back Up Camera, Color Touchscreen Radio, Bluetooth, USB Port, Audio Jack, Rear Park Alert, Power Windows, Power Locks, Power Mirrors, Keyless Entry, and Much More! You Always Get More From Les! Our stylish, smart and adventurous 2018 Ford EcoSport SE 4WD with Sunroof brought to you in Smoke! Powered by a 2.0 Liter 4 Cylinder that delivers 166hp matched to a 6 Speed SelectShift Automatic transmission for smooth shifts. 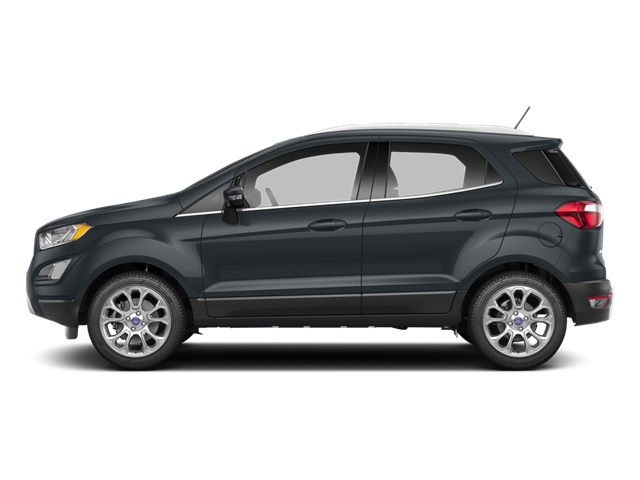 This Four Wheel Drive EcoSport SUV delivers a comfortable ride with car-like handling, and easy maneuverability plus offers near 29mpg. Our EcoSport SE is sophisticated with a European-influenced style that is complemented by beautiful alloy wheels, sunroof, unique quad-beam reflector headlights and LED tail lamps all designed to make you look good! Inside our EcoSport SE trimmed interior, find a modern design featuring Microsoft SYNC with easy-to-use in-car connectivity system that lets you make hands-free calls with Bluetooth. Control your music with your voice and enjoy the high-quality Audio system, add in keyless entry, a 60/40 split rear seat for easy loading, and fully opening doors for your passengers and see that these are thoughtful touches that will make our EcoSport a great addition to your daily lifestyle. Ford offers modern safety features like automatic headlights, a rearview camera, advanced airbags, traction/stability control, Curve Control, and emergency crash notification allows you to drive this EcoSport with ultimate confidence. You will enjoy MyKey, which will allow you to set restrictions for the teen driver in the house. Any on the go family will undoubtedly benefit from the smart design of this EcoSport. Print this page and call us Now... We Know You Will Enjoy Your Test Drive Towards Ownership! Hello, I would like more information about the 2018 Ford EcoSport, stock# 2977. Hello, I would like to see more pictures of the 2018 Ford EcoSport, stock# 2977.